So you’re looking to get your very own customer relationship management (CRM) software? You may have decided it’s time to jump on the CRM wagon and utilize your first CRM, or you may be updating a clunky or underpowered one — either way, you’re probably unsure of how to proceed in choosing the right one. Don’t worry: it’s not nearly as daunting as it seems! Understanding your organization’s needs and requirements is the first step, so read on for a comprehensive CRM requirements checklist. CRM and marketing automation go hand-in-hand, so most CRMs offer marketing automation modules. Or, if your needs of CRM requirements are more robust, there are ample marketing automation platforms out there that connect seamlessly with the top CRM solutions. Customer relationship management solutions allow users to create, deliver and track multi-channel marketing campaigns. They enable simple management of all appointments with prospects, leads, colleagues, vendors and other contacts. Your integration with marketing automation comes into play by having all website and campaign activities available within your CRM interface and dashboard. Customer targeting features offer a 360-degree view of prospects and leads, allowing users to segment them into a range of customizable categories. CRMs simplify lead distribution by assigning leads with pre-defined criteria to route them to the appropriate sales rep.
CRMs can track customer data like spending habits, likes, dislikes and other attributes to better qualify them. This data can be used to drive targeted marketing campaigns. Campaign analysis tracks campaign delivery and analyzes ROI for individual campaigns — for instance, via batch email marketing — in order to improve future efforts. It’s essential to know how well your CRM manages opportunities and how marketing and sales teams can collaborate. The best systems can maintain better contact management, easy proposal creations and more. Users of CRM systems can manage sales opportunities from first contact to sales closure, assigning each lead to the most qualified sales rep to nurture them. You don’t want to waste your team’s time with inefficient contact management practices. So when you request a demo, try to gain a strong sense of how contact management works when dealing with automated workflows and real-time sharing. CRM solutions offer robust online case management capabilities that help users keep track of customer requests. This is done through a request or ticketing system which is associated with their personal information within the CRM. This reduces shuffling customers from department to department and reduces wait time, improving customer satisfaction. Check that the solution provides business intelligence (BI) features that can accurately monitor and measure customer service factors. Your CRM needs to easily give you insight into customer satisfaction for better customer retention. BI also allows you to monitor new customer acquisitions to gain great client references in the future. 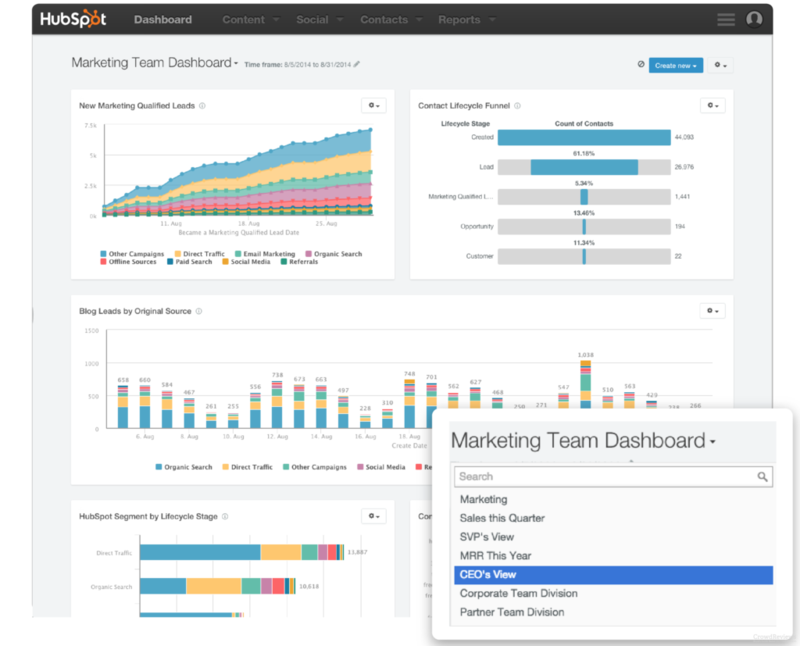 Make sure you can create your own reports and dashboards. Some vendors offer industry-specific modules for your CRM, but the ability to create and customize reports according to your needs is a must for getting the most out of BI features. Furthermore, check that the automation and dissemination of these reports are easy to set up. Nothing’s worse than trying to pull reports after monitoring data only to realize it hasn’t been set up properly. Find out if the software is frequently updated with upgrades and enhancements, and if that is included in the fee. Email is an essential component to marketing and sales teams. Segmented email marketing, autoresponders and 1-to-1 sales emails are becoming more commonplace. Investigate what kind of integration your CRM has with different email platforms. For example, can sales reps email pre-existing templates directly from their email client of choice (e.g. Gmail or Outlook)? Part of being successful with sales and marketing is fast response time with prospective and current customers. Ask CRM vendors to see if their platform has chat support capabilities. If they do, your team can offer live help from within a website, app or self-service support portal. Does the solution manage inbound and outbound calls? Choosing a system is never easy, but if the dashboard can instantly display key details of the call it can only benefit your reps. In a world where digital communication is at our fingertips, having VoIP technology as part of your CRM makes everything more efficient. The effectiveness of your sales team can drastically change and is one of the main reasons to use CRM in the first place. You should be able to move contacts through specific record stages, e.g. Lead, Contact, Customer, etc. These stages should be available right out of the box, but also should be deeply customizable. Mastering data management of your customer database should be the highest priority of your CRM platform to make sure data integrity is continually optimized. Custom knowledge management is an often overlooked but incredibly valuable feature as staff changes. It helps reduce human error, improve efficiency and scale your sales operations. Social media and social selling is a huge part of digital marketing today. Integrating with popular social media management platforms like Hootsuite, Oktopost and Buffer is a must for companies that want to spread brand awareness in as many channels as possible. Marketing and sales teams will appreciate the added value generated by easily accessing customer information. Many CRMs are web-based or “SaaS” platforms (Software-as-a-Service) and this is a common requirement when shopping for a CRM platform. Salesforce is a popular example of a web-based CRM that many people gravitate towards due to its easy integration. Web-based CRMs are also easier to manage because offsite teams handle updates and coding. Since web-based software’s data is stored in the cloud, they tend to be cheaper than on-premise solutions. They can be implemented with limited space and a less robust IT support system as they don’t require servers or hardware. This means that they can be more susceptible to hacking, which is something to keep in mind. On-premise solutions are installed on your own managed servers and maintained by an internal team. On-premise solutions demand a higher overhead cost, and both more space and more technical knowledge to implement, but come with some unique benefits. These benefits include higher levels of security, control and customization. Make sure security is tight within your CRM platform of choice. Check that it creates and maintains a running log of all administrative and user actions. By having a user activity audit trail, you can remedy problems that are too quick to manually catch. You can also keep track of the timing regarding key processes and interface changes to avoid confusion among different departments. Your CRM records are the lifeblood of your organization. Protecting your records is an absolute necessity. Be sure to note whether the CRM you’re evaluating provides tools for creating routine data backups and point-in-time snapshots to protect against data loss. Having different and customizable user roles is often a large requirement for your CRM. You want to make sure the right people have the access they need within the platform – no more, no less. Sales reps shouldn’t have administrator-level access. Having advanced access encryption prevents breaches and keeps your customer’s valuable information safe in your hands. To help out your CRM search, we put together a few extra tips on how to ensure a smooth search and implementation process. In our experience, companies that utilize these tips end up with a more cohesive, collaborative process. This results in leading them to the best CRM solutions on the market. Now that you know the core CRM software requirements, go the intelligent route by building a CRM checklist. Building this document is a key step in selecting the right CRM the first time. If you need to build a CRM functional requirements document for a CRM selection checklist project, starting with an existing CRM template is ideal. We’ve built a CRM evaluation template with the requirements list above. By using a template, you’ll have a majority of the normal requirements businesses look for pre-filled for your use. This will save you a ton of time. Once you have your template and have updated it with any additional requirements for CRM, you’ll want to get all stakeholders invited to view it. There are some collaborative tools out there for documents including Google Drive. You can also use a requirements management software. Your next step is to have each person rank and prioritize the list of requirements based on their specific needs. Setting up a ranking system is possible in a Google Sheet, or you can use software specifically designed to manage the requirements ranking process if your team prefers this option. Once all parties have submitted their requirements rankings, summarize the findings into a formal report to be reviewed by everyone involved. You’ll be able to see what requirements are absolutely necessary or unnecessary. You’ll discuss why some requirements fall into various categories to understand what the outcome of each one would be if it were to be included or excluded. The CRM software evaluation process is a marathon, not a sprint. Although the process is far from easy, asking yourself these assessment questions to help determine why CRM is required, gathering your CRM requirements list and applying these tips can ease the burden. What requirements are most key to your organization? Let us know in the comments! Thanks for sharing your thoughts! We appreciate it. Your template/leaderboard is now being personalized. .. and it never loads?